In reaction to the financial market crisis that started in 2007, the Basel Committee on Banking Supervision substantially revised its existing framework for regulation, supervision and risk management in the banking sector. This revision was introduced with the so–called Basel III framework in December 2010. It essentially comprises a strengthening of the quality of a banks′ own funds, as well as new requirements with regard to the amount of required capital. Furthermore, new ratios were introduced in order to limit the leverage employed by banks as well as new liquidity ratios. 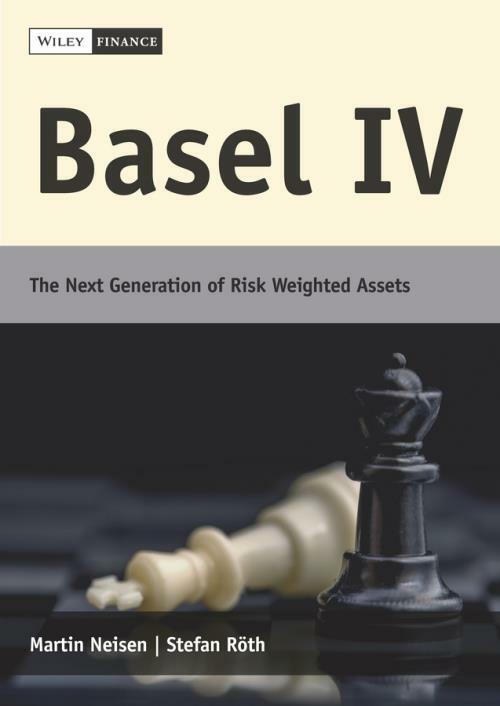 Since 2012 the Basel Committee has increasingly pursued a revision of the calculation methods for risk–weighted assets. In addition, a large number of new requirements have been developed. This package of new standards from the Basel Committee, which is unofficially called "Basel IV", is now the most comprehensive package of modifications in the history of banking supervision. It is only a matter of time until the innovations of the Basel IV package are transferred into binding EU law. The banking industry will face major challenges in implementing these new rules. In the editor′s volume "Basel IV – The Next Generation of Risk Weighted Asset" Martin Neisen and Stefan Röth present the current edition of the Basel reform proposals. The aim is to convince the reader that we are facing a new framework called "Basel IV" and not just a fine adjustment of the existing Basel III regulations. Moreover, the innovations of the Basel IV package are explained in a clear, comprehensible and practical manner. With the aid of a high–profile team of experts, the complexity of the topic is reduced and important support is offered.